Ecuador’s interior minister, Maria Paula Romo, didn’t name Bini when announcing the arrest but said that a person was wanted for “investigative purposes.” Bini’s arrest is likely connected to assertions earlier this month by Ecuador’s president Lenin Moreno that his private messages and photos were leaked to Twitter and Facebook. The leak was allegedly part of a blackmail plot that hasn’t been fully explained by the Ecuadorian government. Romo alleges that Bini worked with “two Russian hackers” who also live in Ecuador but it’s not clear that anyone else has been apprehended yet in connection to this case. Romo said that their descriptions were being given to prosecutors. The news of Bini’s arrest comes on the heels of yesterday’s dramatic apprehension of Julian Assange. The WikiLeaks cofounder was physically removed by British police from the Ecuadorian embassy in London after spending nearly seven years there claiming asylum. Assange has been charged by the U.S. Department of Justice with “conspiracy to commit computer intrusion” for allegedly attempting to help whistleblower Chelsea Manning crack the password of a computer controlled by the U.S. Army. That attempt failed. Bini’s arrest at the Quito Airport is being portrayed in some media circles as an attempt to “flee” to Japan, but his two-week trip had been announced on Bini’s Twitter account earlier this week, well before Assange’s arrest. Bini is a fan of martial arts who was reportedly traveling to Japan to train with the martial arts organization Bunjinkan, according to independent news site the Peoples’ Dispatch. 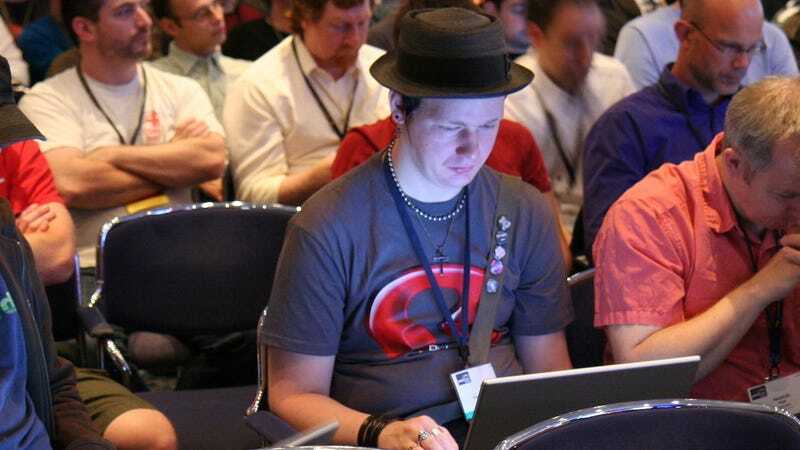 Bini, who has reportedly lived in Ecuador for “several years,” is the author and co-author of several computer programming books about Ruby on Rails. Bini had visited Assange at the Ecuadorian embassy in London on “several” occasions, at least according to Romo. Assange is facing extradition to the United States and has a hearing in London in roughly four weeks. But it’s not clear yet whether Bini will be charged with anything. All we know for sure is that the President Donald Trump has soured on WikiLeaks. Formal charges against Bini still haven’t been made, as far as we can tell. It’s also still unclear if he’s had any access to a lawyer or consular assistance as a citizen of Sweden.